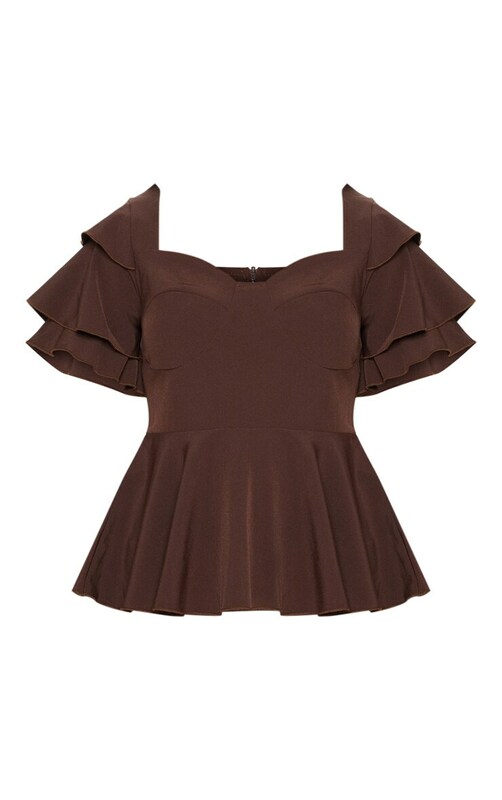 This intricate top is at the top of our hit list. 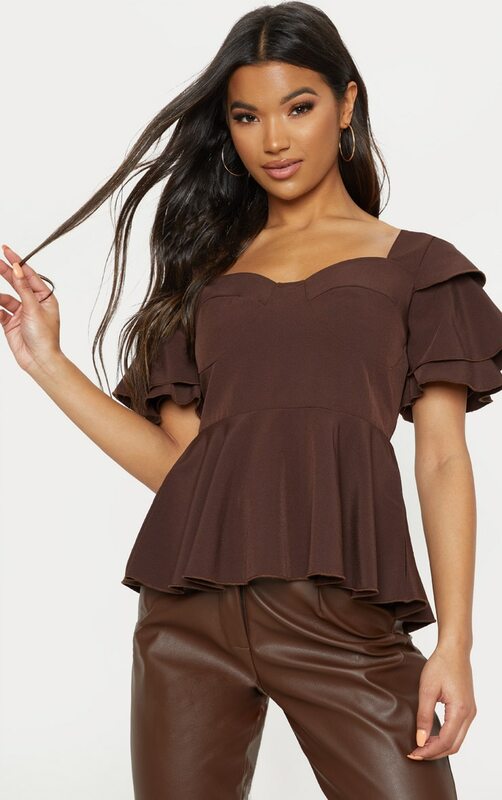 Featuring a chocolate woven fabric, peplum design, fill sleeve and cup detail. 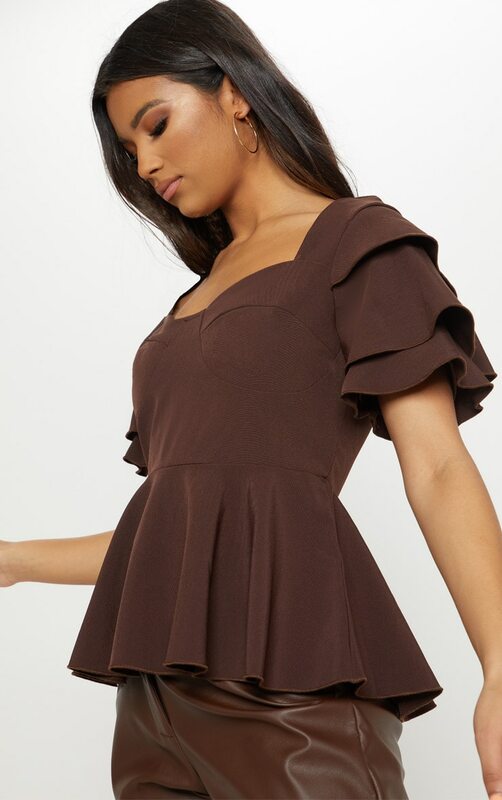 We love this styled with leather trousers and barely there heels for a feminine look we're loving.